Hewitt Trade Services will Personally Help You Pick the Best Air Conditioner for your Size Requirements! 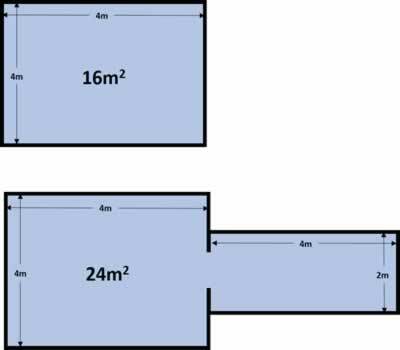 First you will need to find out the size of the area you will be conditioning in square meters (m2), make sure you take into account any hallways or rooms which you cannot seal off. Once you know how big the area is, use the table below to decide on the right air conditioner for you. Don’t forget, large windows, heat loading, ceiling heights and room use all play a part in calculating your unit size. If you’re not sure, contact our friendly staff. Getting the right sized air conditioner is more important than you might think. Having a system that is too small can shorten the life of the air conditioner, since it has to work harder to heat or cool the room. This also means that it can take much longer to reach the temperature you want, or never get there at all. Your power consumption will also rise, meaning any savings you made on the initial cost of purchasing the system will eventually be outweighed by the increase to your electricity bill. If you are ever unsure about what sized air conditioner you need, contact our friendly staff to arrange on onsite quote. Or, visit our Air Conditioning Showroom and have our staff personally help you look through all the options.